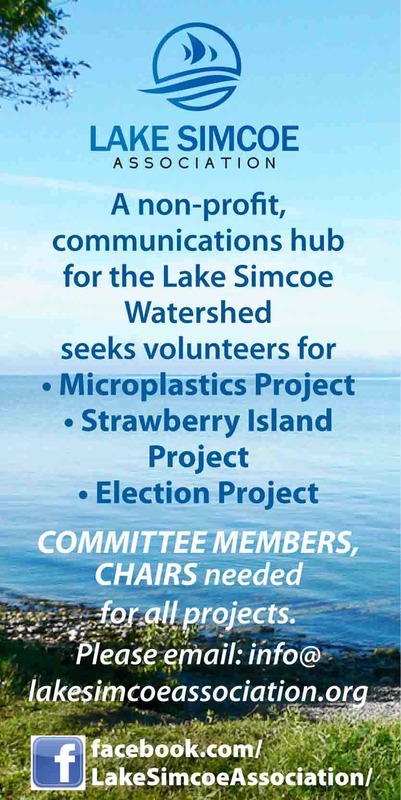 Bob Bowles, who is Lake Simcoe Living Magazine's Nature Detective, is running speciality workshops this fall for people interested in nature. The one-day workshops each deal with one subject in great depth, are open to anyone who is interested, and are being held at Lakehead University-Orillia. Description: Wild plants have always been used for healing and as food by First Nations, as well as the original colonists who lived in this area. Most plants had a use and many were known to prevent illness, treat symptoms, and cure ailments. From the early 1800’s onward, many drifted away from living off the land; nowadays many are incorporating traditional ways into their daily routines. This workshop will cover certain plants that can be used for food or as treatment for certain ailments. Both edible and medicinal plants will be explored and discussed in this workshop, before participants visit several sites to identify a variety of the local edible and medicinal plants within Simcoe County. Description: There are 548 species of mosses, 172 species of liverworts, and 4 species of hornworts recorded in Ontario. This introductory level workshop will briefly describe the life cycle of bryophytes in comparison to that of vascular plants, and present a general overview of the ecological requirements of these understudied species. In 2001, Dr. Frank Cook compiled a list of 239 species of mosses in Simcoe County. In this workshop, we will group the species on that list by habitat, location, leaf shape, leaf midrid, and special features, to create smaller groups. Following two presentations in the classroom, we will visit some sites close to the university campus to learn how to identify the many species of mosses that we have in Ontario. We will move beyond the historical, technical study of mosses and liverworts using compound microscopes to assess habitat, leaf shape and characteristics in order to group the species into smaller groups of species that look very similar. We will use hand lenses and microscopes, but only on the final stages of identification. This friendly approach to the study of mosses and liverworts will enable participants to understand the ecological value of these plants and how they can be effectively incorporated into home landscaping in ways that are more environmentally friendly than tuft grass lawns. Description: What we call mushrooms are the conspicuous, and in most cases distinct, spore-producing fruiting bodies of the many species of fungi that grow in our area. They come in different sizes, shapes and colours and can appear overnight, covering lawns, meadows, woods, and wetlands, growing on living and dead matter and often forming mutually beneficial relationships with other living flora. Although mushrooms have long been considered a culinary delicacy, some are poisonous and even fatal if consumed. They can be identified to species by features like spore colour, gill attachment or growth substrate. This workshop will focus on species identification using these features and will touch on microscopic features of spores and colour reactions to chemicals. This workshop will also help you understand the mushroom kingdom and dispel some of the legends and mysteries that surround these fungi. You will learn how important mushrooms really are to healthy ecosystems. Description: Every year in late fall, several interesting bird species are found on the shores of Lake Simcoe between Orillia and Barrie. These include several species of loons, grebes, ducks, geese, and gulls found among a large number of more common species like common loons and Bonaparte gulls as they feed on the large schools of emerald shiners that come into shallow waters along the shores. After learning about this range of species in the classroom, participants will explore opportunities to observe rare birds at close range, as they follow the schools of shiners into shallower waters along the shores. These birds are usually found far out in deep, rough water making observation difficult, but at this time of year participants will be able to view them in comfort at very close range. Bowles was instrumental in developing the Ontario Master Naturalist Program, a community program established by Lakehead University Orillia in partnership with Ontario Nature. The first of its kind in Canada, the OMNP provides naturalists and those interested in nature and environmental stewardship the opportunity to receive a Master Naturalist certificate. The title naturalist was first defined in 1587 to describe a person who studied the world around us; its phenomena could be explained by natural causes or as Charles Robert Darwin (1809 –1882) stated “by laws acting around us.” Darwin described himself as a naturalist and used it in his 1854 letter to Thomas Huxley but the first known use of the title was in 1857 to describe a student of natural history. The word “scientist” was not used until the late 1800s to describe the same people documenting their observations of nature, and testing their explanations against those observations. Today the term scientist or biologist is used to describe someone with formal training who studies the natural world while the term naturalist is used to describe a person who does the same thing with or without the formal training. There are many naturalists today with a high degree of knowledge of the natural world without any formal training but with years of observations and documentation of facts and phenomena in the natural world. With files from Ontario Master Naturalist Program.